Change is inevitable and the only thing that’s constant in life. Nothing else really stays the same. It’s hard to accept certain things life but if you can bring yourself to accept that change is a part of life, then you’ll make it through. People change. Situations change. Surroundings change. Experiences change. Every single day you change and this is normal. I like to think there’s a tiny part of myself that I leave behind every single and I am no longer who I was yesterday, today. I am a brand new person even in the smallest way and it gives me the opportunity to bring something fresh into my life. A new self means new focus, new ideas, new perspective. 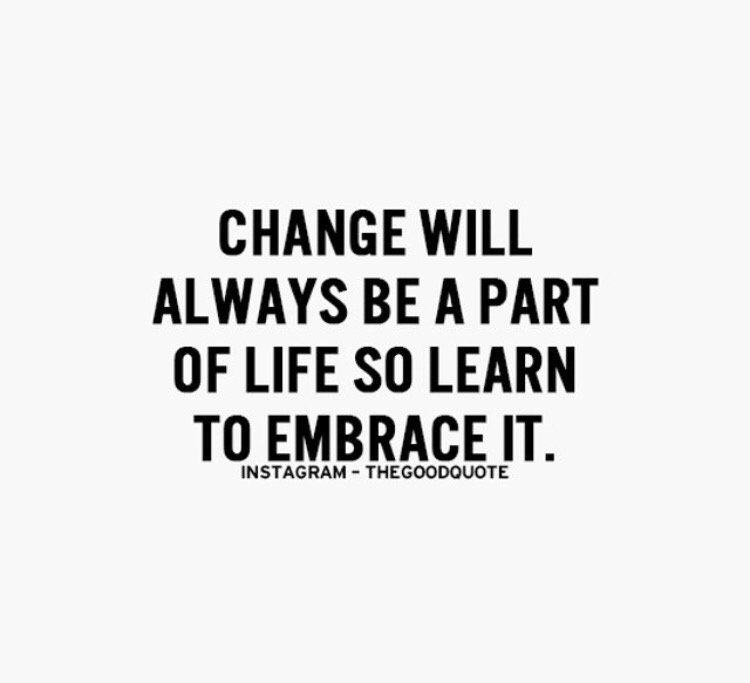 So again, learn to accept and embrace change. It’s for the better – trust me!